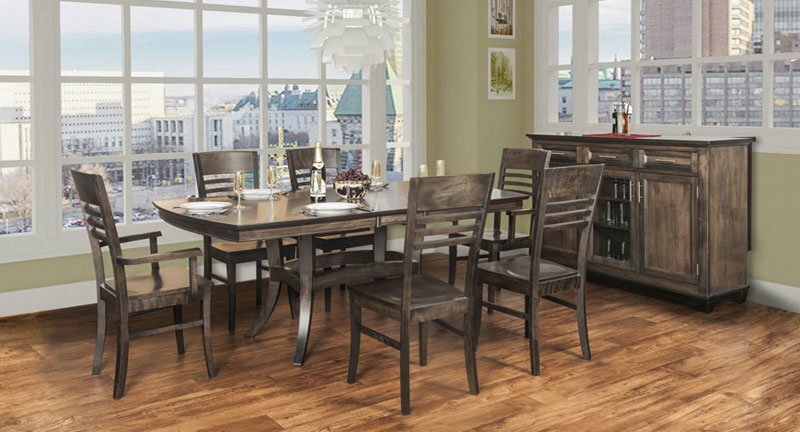 Once you get your solid wood furniture home, you want to maintain the same gorgeous finish and glow that drew your eye in the first place. The good news is that your furniture will last a lifetime, and possibly several more lifetimes, with proper cleaning and care. The following are 5 simple steps that will keep your wood furniture looking as appealing as the day you bought it. Is a particular piece of furniture giving you trouble? Stop by Millbank Family Furniture and we’ll be happy to give you our recommendations. 1. Create a wood-friendly climate in your home. Wood expands when it’s warm or wet and contracts when it’s cold and dry. Overtime, the repeated stress of even miniscule expansions and contractions will take their toll on your hardwood furniture, causing it to crack along the grains. To prevent this, keep your HVAC system in good shape and try to maintain a moderate temperature and humidity level in your home year-round. 2. Buy a handful of microfiber cloths. This is one of the best cleaning investments you can make. Period. Don’t bemoan the weekly dusting chore. Instead, keep a few soft, microfiber cloths handy in every room in your house. When you think about it, spend a few seconds (literally – it takes seconds!) to wipe down wood furniture faces and surfaces and rid them of accumulated dust. A little effort now saves a lot of effort and time later (see #4!). 3. Address water issues immediately. Whether your toddler spilled his water or an open window allowed a rogue rain storm to sprinkle the arms of your rocking chair, moisture needs to be dealt with immediately. There are two reasons for this. The first is that your furniture’s finish is only designed to protect the wood for a short time. Any long-term exposure will destroy it. Secondly, as mentioned above, moisture causes wood to swell and this can lead to cracks and other undesirable changes in its appearance. Like attracts like, and grime attracts more grime. The goal here is to remove surface grime without damaging the furniture’s finish or the wood. Start with warm water and a mild dish detergent. Soak up a sponge with this solution, ring it out so it’s just damp, and try a sample spot. You can also use mineral spirits. If this method works without damaging the finish, great. You can continue what you are doing and remove decades of accumulated dirt and grime (So, that’s what this table was supposed to look like…). If it doesn’t work (or the finish is altered) stop right there and contact a woodworking professional to make sure you don’t do any further damage. 5. Be wary of polishing or waxing your furniture. Not all finishes are created equal, and this means that not all finishes should be polished or wax. Always adhere to the manufacturer’s instructions when it comes to polishing, waxing and the types of chemicals that can be used on your wood furniture and upholstery. These instructions should have been provided by the furniture store where you purchased your pieces. If you don’t have the instructions any longer, we recommend taking a picture or brining the piece in to a furniture store that specializes in solid wood furniture to see what they advise. Millbank Family Furniture is always available to assist you in caring for your heirloom wood furniture pieces. Contact us if you need personalized assistance. The furniture is all handcrafted by the local craftsmen. We also offer custom made furniture. In addition to our 10 Years Limited Warranty on any Construction Defects. The owner Raymond has built furniture for 15 years and has been in the industry for over 25 years so he has an eye for quality. Learn more about us here. See all the Wood Furniture products we have to offer. You can call us at 519-595-7105 or click here to contact us. We recently redid our den. I'm very satisfied with the design and quality of their workmanship & I would return. They were very accommodating.